Several BMSE surveyors offer MCA Coding via the YDSA or MECAL Certifying Authorities respectively. 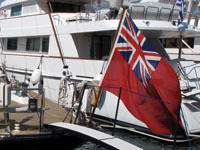 This is required for yachts operating commercially under British Flag or other Red Ensign Group flags. 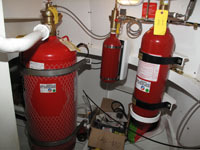 The service is offered to yachts of up to 24m load line length. As MCA Code compliance can appear daunting, BMSE surveyors can guide you to get the boat compliant prior to the compliance examination so that the whole process proceeds very smoothly. The coding process incurs fees of the Certifying Authority and also the surveyor’s fees. Transfer between Certifying Authorities is usually no problem. Therefore it may be convenient if the boat changes home port to transfer to a Certifying authority which has a local surveyor. This will avoid any unnecessary travel charges for the surveys and will ensure an immediate response when required.